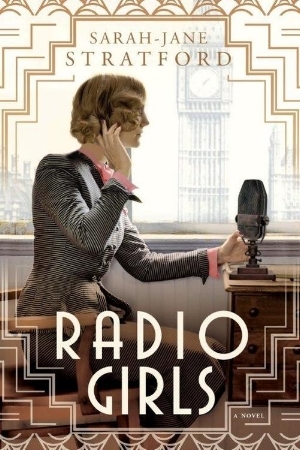 Given that she's lived in both America and England, it's not surprising that Sarah-Jane Stratford drew from both countries for her novel RADIO GIRLS, which it places an American-raised secretary in the context of very British history: the early days of the BBC. We talked about Barbara Kingsolver, Hilda Matheson, and the Hollywood blacklist -- enjoy! Greer: What's the most recent thing you read that blew you away? Sarah-Jane: A short story, ‘Homeland,’ by Barbara Kingsolver. I love her work, I don’t know why I haven’t read these stories before, but anyway it was one of those stories that I read and then went right back and read again. I haven’t done that since I read Sarah Waters’ Tipping the Velvet. What I found in this story, and it’s a mark of all of Barbara Kingsolver’s work, is that the world is so precise. It’s a tiny town in Tennessee, 1955, a time and place most of us don’t know, and she makes us know it intimately and feel a part of it, so that we’re inside those people’s lives. I wanted the story to go on and on, and yet it is perfect just as it is. Sarah-Jane: A lot of people know about the 1950s blacklisting of people in Hollywood -- mostly writers -- who were accused of being communist subversives. What’s less known is that a number of women writers were also accused and lost their livelihoods. I was inspired to create fictional versions of two women in particular, who went into exile in Britain so that they could continue to work and avoid being watched by the FBI – or worse, being subpoenaed and forced to testify about their politics. A real-life woman, Hannah Weinstein, created a television show called "The Adventures of Robin Hood," which was hugely popular in the 1950s. Some viewers recognized that the show’s plots tended to highlight the mistreatment of disadvantaged people at the hands of the wealthy and powerful. Very few knew that the entire writing staff was comprised of blacklisted writers, using pseudonyms so that the show could continue being broadcast in the US. My fictional writer becomes a member of the Robin Hood staff, and attempts to make a new life abroad, where all the exiles wonder if they’ll ever be able to live freely in America again – or even if they’re really free of the FBI abroad. I’m deep in revisions now, looking towards publication in spring of 2019. My question for you: There have been a lot of quality literary adaptations lately. Is there one in particular you’ve seen that you thought was exceptional, and can you talk about what made it so good? Also, any news on a possible adaptation of Girl in Disguise? Greer: I hate to admit that I'm old enough to have been waiting 20 years for something, and yet, it's totally true. That's how long I've wanted to see Margaret Atwood's Alias Grace done right and in 2017 that finally happened on Netflix. It's an extraordinarily faithful adaptation and totally worth the wait. (I went on about it in-depth for The Chicago Review of Books.) 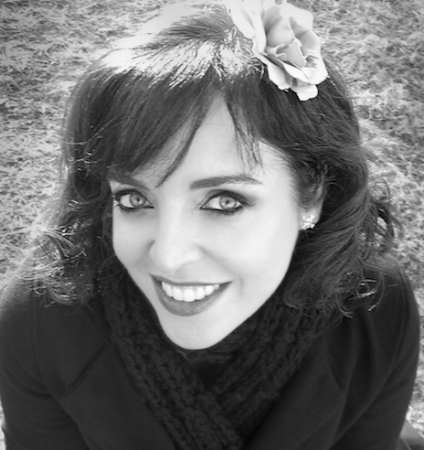 As for Girl in Disguise rights -- hope springs eternal. I have an excellent film agent at CAA and from time to time I hear whispers of possibility. If anything comes to fruition, I will most definitely share with the world!